Come enjoy nature and check out the wildlife! 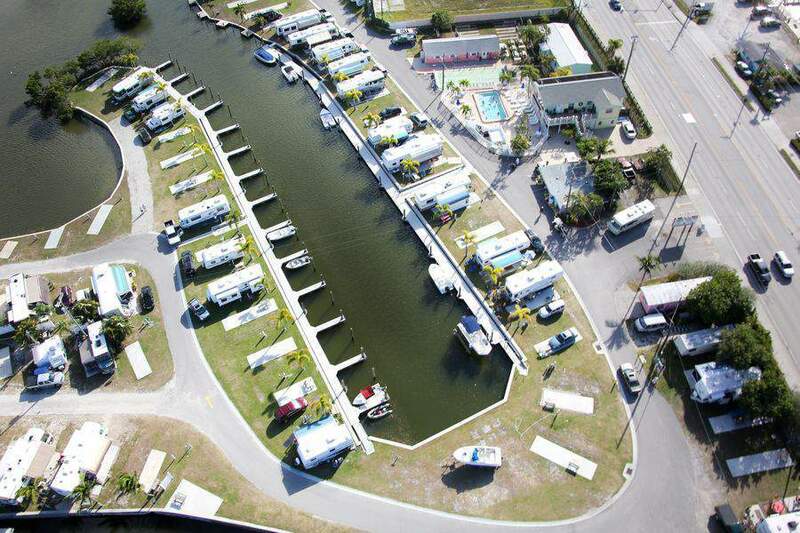 San Carlos RV Resort & Marina is located on Hurricane Bay. We offer excellent fishing with easy access to the Gulf of Mexico. With a quick walk down the street or a trolley ride you can enjoy local attractions, restaurants and shopping on Ft. Myers Beach! going on here at the park. ⚓ WINTER ACTIVITIES - During the winter season we have social dinners, music shows, craft shows, a fashion show and so much more. ⚓ List of phone numbers for transportation, medical care, visitor info, etc. Click here. There is a high fire danger until otherwise informed. NO OPEN FIRES are permitted at anytime! There are 4 dog runs at our park. Two of them offer "poo bags" for free, please use them if you do not have one with you. There is a waste container directly below the bag container. Do NOT let your pet do their business on your site or others!  NO PETS IN RENTAL UNIT! Pets are not permitted in the efficiency area or office. NO pets in restrooms! Florida State Law. They must be leashed at all times and not permitted to run at large or left unattended while owner is away from campsite. Please provide current rabies inoculation when checking in. This is required by Florida State Law. For your comfort and safety, the following rules have been established. We reserve the right to enforce all rules to insure all rules to insure all guests the maximum enjoyment from our resort. ⚓ Speed Limit 5 mph always. ⚓ Quiet Hours are from 10 pm to 8 am. ⚓ No car or trailer or motorhome washing. ⚓ Fireworks are NOT permitted in the park. ⚓ NO electric heaters or stoves! there is a fee for using our facilities. actions and safety of their children. ⚓ NO SWIMMING IN BAY OR CANALS. ⚓ NO GLASS in pool area. ⚓ OBEY ALL POSTED RULES. ⚓ SWIM AT OWN RISK. Click here to see more photos of our park. Copyright 2017 ~ San Carlos RV Resort and Marina.